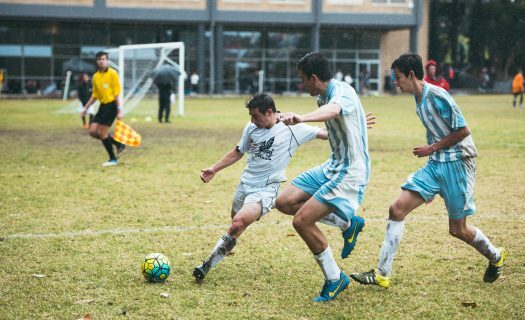 Football at Newington has matured exponentially since its inception in an Under 14 knockout competition in 1968. In 2018 Newington will celebrate 30 years of GPS competition. In recent years, the Football Program has grown from strength to strength with premiership wins in both 2013, 2014 and 2017. More importantly, the range of player development, coach education and the internationally flavoured diversity of the programme set Newington in a “class apart”. Football in Newington very much aligned with “discover what’s possible”. All football teams at Newington have two sessions a week. A smaller number of teams train early in the morning, while the majority of boys have afternoon coaching. Boys have access to excellent facilities including two football fields, three off-site locations, Lambert Park, Arlington Oval and Tempe Reserve as well as the newly opened Sevington mini synthetic area. We have a weights room for strength and conditioning training and a 25-metre indoor pool for recovery sessions. Presentations to teams and Video Analysis take place in the OBLT and Function Room. Boys of all ages and skill levels are invited to play and all players are catered for. Our coaches encourage all boys to improve weekly and develop a wider skill set. This mindset ensures we have regular movement in our teams as boys are rewarded for progress in their development. Although there are no official competitions for the Junior teams (U16s or below, as these age group games are more about fun and enjoyment) we emphasise that progress in football (as in life) must incorporate a competitive attitude. All our non Opens teams play the other AAGPS schools and other external schools. Our coaches keep a weekly record of all matches, players progress and pastoral care aspects. Competition at the Opens level involves home and away fixtures against all other AAGPS schools. In addition the Senior Squad (1sts, 2nds) play in the GPS Plate (Newington were winners of the 2016 and 2017 1sts and 2nds Plates). The 1sts play in the annual IBC Cup ( Newington won the 2017 IBC Cup in Adelaide) and the annual Cup for Independent Schools, the CIS Cup. Newington were runners-up in both the 2016 and 2017 finals. A comprehensive and dynamic football programme was delivered weekly by our excellent coaching staff, internal and external. A number of Old Boys including a superb group from the class of 2016, added an extra element of joie de vivre to the year. Our Internationally flavoured coaching programme focuses on tactical games, technical development practices, fun warm-up games, competitive mini-games all taken from best practice worldwide. We have incorporated elements of all our visiting coaches and teams as well as the wonderful experiences we enjoyed in the Iberian peninsula in 2017. We have adopted a number of WSW and FFA practices into our manual. There are opportunities for our premier teams to tour both interstate and internationally each year. The Football program aims to develop an interest and passion for football and, in so doing, improve the technical and tactical ability of boys through fun physical activity, social interaction and a real commitment to their alma mater, Newington College. From the early season trials, all the boys in the Football Program have contributed enormously to each of their teams and to the ethos of “Club New”. The boys were in good hands thanks to the time and commitment from the excellent coaching staff including Director of Football Mr McCarthy, Mr Jablonski, Mr Baker, Mr Scardilli, Mr Wilson and Mr Summers. Our boys were treated to a wonderful coaching session on Buchanan from a visiting Chelsea Academy coach. 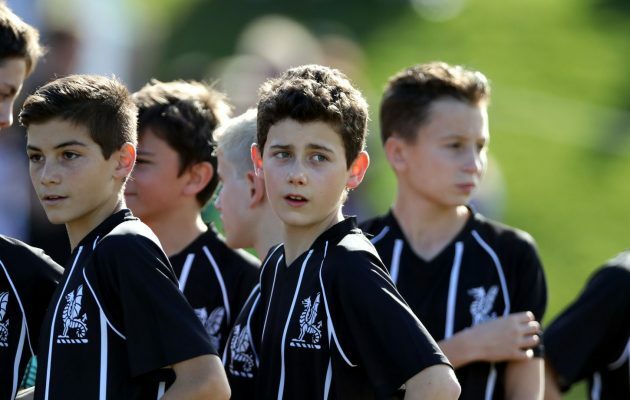 The European football tour not only exposed our students to the magnificent cities of Barcelona, Lisbon, Seville and Valencia but provided with all the Year 8-11 players with a unique insight into professional academies and the quality of coaching provided there. In particular our five days at the Academy of Light, Benfica was an opportunity “of a lifetime”, as Head Coach, Diogo Teixeira and his coaching team put on several masterclasses which will stay with the boys for a long time such was the quality, vibrancy and enjoyment of Diogo’s sessions. They say “travel broadens the mind” and certainly the 2017 Tour was a football education. The various tournaments to Adelaide and Canberra accentuate Newington College’s commitment to providing all our boys with universal opportunities at home and abroad. An excellent season for all our teams resulted in the best AAGPS match record for 2016. Newington College achieved a record number of GPS selections in the 2017 GPS Representative team, with Jacob Sayle, Sam Hochuli, Mitchell Long, Carlo Ottavio, Jacob Nastasi, Ellis Bellos, Liam Nikos, Elmore Alexander and Kallen Ferrero all nominated. The boys were all outstanding as they finished second in the CIS Representative tournament to CAS, despite being unbeaten. 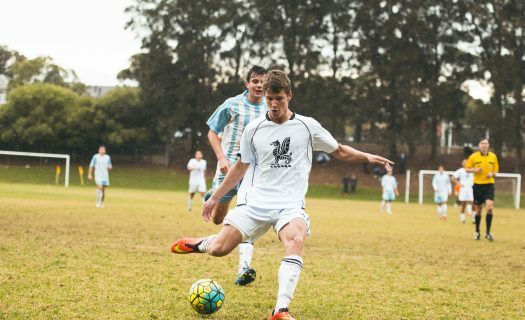 Kallen Ferrero was selected as a CIS shadow player and was the GPS top scorer at Valentine Park. Kallen Ferrero was also top scorer in the 2017 AAGPS Firsts Premiership for Newington College. The IBC Cup 2017 was won by Newington with Ellis Bellos selected as Player of the Tournament, Kallen Ferrero as top scorer and Carlo Ottavio, Ellis Bellos, Sam Hochuli and Kallen Ferrero all selected on the Team of the Tournament. The Under-14 Kanga Cup squad were runners-up after a 3-2 loss to Adelaide City with Peter Dendrinos and Aiden Mostofi finishing among the top scorers. The Football programme at Newington is a specific, sequential, developmental and progressive model. With specific aims at each age and level, with increased opportunities for recognition, annual tours and tournaments, pre season training camps, visiting coaches, Australian football personalities, a kaleidoscope of competitions, high calibre formal functions, the scope for a boy to enter Year 7 in Newington, at any level, and “reach for the stars” is limitless. With the new GPS Under-16 Representative initiative jointly involving the AAGPS and the FFA, selected boys will now showcase their talents before National selectors, and boys chosen will play at the National Championships, where a route to International football beckons. The continuing progress of our former old boys has continued apace with a number of 2014-2017 alumni appearing for “A” League and NPL1 clubs. Our philosophy of “Learn to Play”, “Skill Development” and “Tactical Education” will have long term benefits, both in terms of football and personal development.